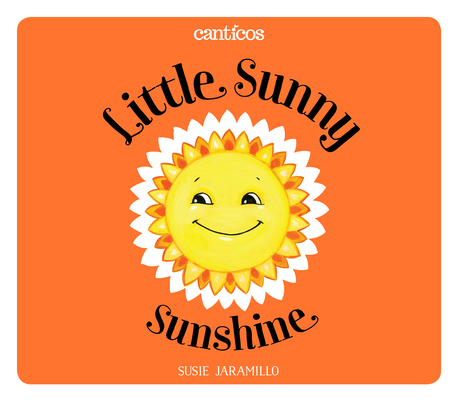 Little Sunny Sunshine/Sol Solecito is the 6th book in the bilingual (English & Spanish) nursery rhyme collection from Canticos. Inspired by "Sol Solecito" and "Luna Lunera," this book features an adorable little piggy who spends his days soaking up the sun and enjoying every moment of the day. Concept: Days of the week as well as day/night and today/tomorrow. Interactive lift-the-flap and turn-the-wheel features. Book summary: In this book, we meet a little piggy who celebrates the radiance of the sun along with the dreamy wistfulness of the moon. Susie Jaramillo is an artist, creator, brand builder and mom raising 2 bilingual children. Jaramillo majored in painting and illustration at the Pratt Institute in Brooklyn and recently left the advertising world after a successful 15+ year career to apply her brand building and storytelling skills to the world of family entertainment and education.